You do not need the book pictured - this recipe is completely my own, I just thought the book looked pretty! Hi lovelies! Today, I wanted to share one of my favourite recipes with you all. This time, it's for my Carrot and Coconut cookies - I've made these a couple of times, but the first time I made them, they were sort of an experiment as I had some ingredients left over from another recipe. They turned out great though, so I decided to recreate them but take more care to measure out what I was using so that I could share the recipe with you all! These make a great snack for on the go, or a nice treat for when you have non-vegan friends and family over and want to show them how yummy vegan food can be! They're not sugar free, but they do contain fibre, healthy fats and carbs and they're much better for you that cookies you'd buy at the supermarket! They've not got an overpowering taste of either carrot or coconut, just a little hint, so don't be put off if these aren't your favourite ingredients in baked goods! These (in my opinion!) are perfectly balanced as they're sweet, but not too sweet and contain oats instead of flour, making them a really satisfying snack! So, let's get right on into the recipe! * You can buy you applesauce, but I prefer to make mine. To do this, I simple dice up two small sweet red apples (I like braeburn apples, but any sweet apples are fine) in water until they go soft, then drain and puree them with a little cinnamon. ** I buy this milled linseed mix from Aldi, I like to add it to recipes as it's high in Omega 3, but if you prefer, you can add any other small seeds, finely chopped nuts or just extra oats or shredded coconut. Anything will work, but I do recommend this linseed mix if you can get it, as it's great to add to recipes and meals for Omega 3. Before doing anything, you'll want to preheat your oven to 180 degrees Celsius. When you've measured out your ingredients, you'll want to add all your wet ingredients to one bowl. So that's your carrots, apple sauce and sugar. Stir these together to full combine. Add your Oats, Coconut, Linseed Mix and Cinnamon to another bowl and mix together. Add these gradually to your wet mix. This may appear as though there are way too many oats for the mixture, but they will combine! When shaping the cookies, the mixture does not form a solid dough like a typical cookie recipe would, so you'll need to use your (clean!) hands to shape these. They won't spread on the pan and they'll hold whatever shape you mould them into, so I recommend making 12 roughly equal circles and flattening them to around 1/4 inch in thickness. As you can see above, I like to use this mesh tray between my cookies and my baking sheet, this prevents any sticking to the tray. If you don't have one of these, I recommend using non stick baking paper, a non stick tray or a little vegan butter or coconut oil to lightly grease your tray as they will stick. When you're done shaping, pop these in the preheated oven for around 12-15 minutes or until they've gone slightly darker around the edges. Do keep an eye on these and judge them yourself, as depending on how thick or thin they are, they may cook a little slower/ quicker. When they're at around the 10 minute mark, I recommend carefully flipping them with a spatula so that they brown slightly underneath too. This gives them a little extra crunch! This step is optional, however, I think it really helps to make them extra yummy! When I take these out of the oven, I let them cool a little, then carefully remove them with a spatula, and put them onto a plate and place them in the fridge for an hour or two before eating. I don't really like to eat my cookies fresh out of the oven and think they're much nicer when they've been chilled as they go slightly more crunchy, but remain slightly chewy in the middle. So, that's it! Definitely let me know if you decide to make these as they're one of my favourite things I've created since going vegan, so I'd love to know if you like them! Hi lovelies! Today, I wanted to do a little update for you all because as of this month, I have now been vegan for three months. While this post is not to preach in any way or tell you you have to go vegan, it is to inform in the most effective way I can and hopefully help some of you to better understand the vegan lifestyle or if you're already vegan or interested in veganism, this may just be something interesting for you to read! So, today I'm going to be talking about when, how and why I went vegan and how I'm feeling since I made this lifestyle change. So, I started transitioning to veganism in February of this year, I remember Darren & I had gone out for breakfast on Valentines Day and we then had a little at home 'pic n mix picnic' while we watched a movie. It was only when I was reading the back of a particular packet of sweets, unable to pronounce most of the ingredients that I thought wow, I don't have a clue what most of these things even are and yet I'm putting them into my body. Don't get me wrong, I've always been fairly healthy and concious of what I eat and I definitely don't believe in totally giving up sweets and treats, but there was just something about reading that long list of chemicals that day that made me want to look into these sorts of things a little more. So, a couple of days later on my day off, I took to the internet to look into these things, I came across documentaries like Food Matters and Food Inc, which talk about the food industries and whether or not what is marketed to us as 'healthy' really is beneficial to our bodies. From here, I started looking more into a plant based diet and what that can do for your health. At first and for the first week or two after reading up on this, watching youtube videos on plant based diets and veganism, I made a partial switch. I ate 100% vegan at home with my boyfriend, but still ate as usual when I went to other peoples houses as I didn't want to 'be a pain'. However, while still eating animal foods, I felt guilty knowing the small amount I already knew and genuinely noticed a difference in how I felt at the end of each day when I had or hadn't eaten animal products. Not long after this, towards the end of the month, I watched a documentary called Forks over Knives, which is all about how certain foods, Meat, Dairy and Eggs in particular can be so damaging to our health and I was shocked. I was glued to the screen throughout the whole show, which is rare for me, but when it finished I knew I wanted to go plant based with my diet. So, that was the first step, I still wasn't 100% connected to veganism through the ethical or environmental factors so I still hadn't really thought about my clothes or beauty products. However, one day I had a particularly large pile of washing up to do and to get me through it, I decided to find a Youtube Video to watch. I came across '101 - Reasons to go Vegan', which explains not only more about the health aspects of the vegan lifestyle, but the ethical reasons too. If you're at all considering veganism, this video is a great one to start with, as there's not too much of the graphic cruelty shown (though I do believe everyone should see this at some point), it makes it a fairly easy place to start. It's very informative, but also very entertaining and engaging, so you'll actually want to keep watching. After watching this, I wanted to know more, so I later watched 'Farm to Fridge', which is only just over 10 minutes long and so important, as I think we should all know where our 'food' is coming from. I also watched 'Earthlings' as well as covering the meat, dairy and egg industry, also fully opened my eyes to the cruelty in the cosmetic and fashion industry, which is why I will no longer be buying leather products or using brands that test on animals or use animal products. I do still have some products like this and leather products, which I am not going to throw away as I don't want to be wasteful, but I will not be contributing any more. As for the environmental aspect, this wasn't really something I'd though too much about, but after watching 'Cowspiracy' on Netflix, I was appalled at how much of an impact animal agriculture has on our planet. People think of the whole 'save the planet' thing as a hippy thing, but this is our planet that our children and grandchildren have to live on for years to come. We're making small steps with our plastic bag charges and every house having a recycling bin, but if everyone halved their meat, dairy and egg intake or even went fully vegan, the planet could improve dramatically in such a short amount of time. So, those were my reasons for going vegan. At first, for my health, as plant based nutrition has been proven to prevent disease and be the best for the human body (say what you will about this, I have done my research and 100% believe this to be true!) and then for the animals and environment. While I know one person may not change the whole world, I like knowing I'm doing my bit and not contributing to these industries. That's probably the best thing for me since going vegan is feeling like I'm doing something good and making small changes in my own way. 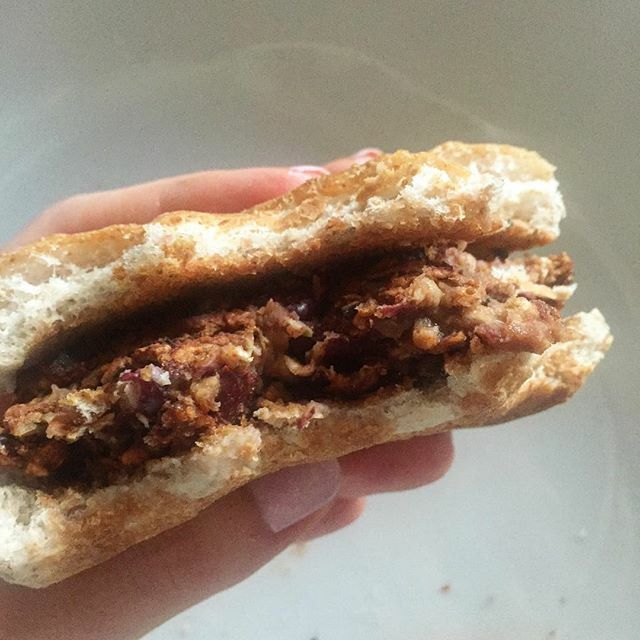 A few of my friends and family members have also been very interested and have been taking my fully vegan recipes to try at home, or vowing to go animal product free at least one day a week, or cut down their intake and it's great knowing you're inspiring people to do something so good for their health. As for how I actually feel in a literal aspect, I've been so much more energised and alert as I'm finally getting the proper nutrients that my body needs. While I did make an effort to be healthy before, I see now that a lot of the foods I was eating that I didn't realise were bad for me were definitely having an effect. I wake up with much more energy every morning, my skin is better, I feel more toned than ever without very much vigorous exercise at all (I walk for at least 1 hour total most days, have a moderately active job as a beautician and do a little light exercise at home, but no gyms or intense running!) and my skin and hair have never been better! I'm going to leave this post here as I could honestly go on for days about this topic, but if there's anything else you'd like to know or any other posts like this you'd like to see, please leave me a comment below as I'd love to know your thoughts! Hi lovelies! 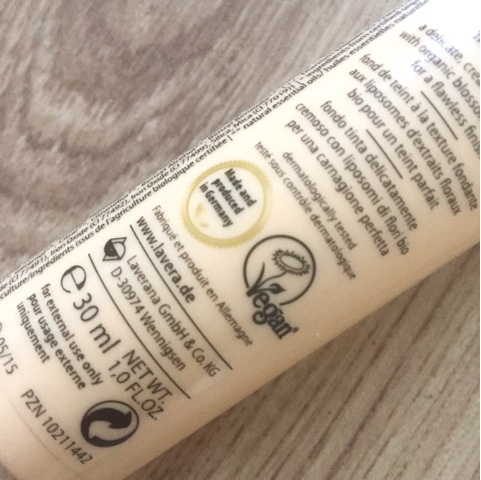 Today, I've got another fab Vegan beauty product for you all! This time, it's in the form of this 'Moisture Restoring Conditoner' from Australian owned and made brand 'Sukin'. I got this on MyPure.co.uk recently as I was in desperate need of a new conditioner and wanted to try something a bit different to what I've been using. As some of you will know, I've been making an effort to buy only products that are cruelty free and vegan, which often goes hand in hand with more natural, safer products. This certainly applies to this brand, you'll see in the picture above that it is free from all of the usual nasties that should be avoided for your hair, so no sulphates, sythentic fragrance, parabens and a whole host of other things you don't want to be putting onto your precious strands! As someone with highlighted hair, I need to take special care to use products that are not only safe for dry and damaged hair, but also free from harsh ingredients that are going to alter or mess with the colour of my hair. This is why I went for Sukin, as I loved the ethics behind the brand as they're totally vegan and completely against animal testing. 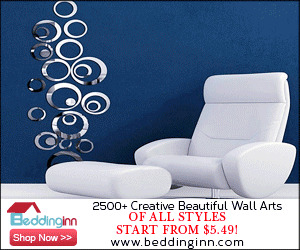 Their products are also created with high quality botanical extracts to provide quality products for your skin and hair, while remaining very affordable. This conditioner in particular retails at just £13.22 for 500ml. As it is very moisturising, you don't need to use too much either, so it will last you a good amount of time before you'll need to replace it. Containing aloe vera, Shea butter and wheat germ, as well as avocado, rose hip and jojoba oils, this conditioner has an impressive ingredients list that combines to make your hair look and feel soft, nourished and much more manageable. Since using this, I've notified a significant difference in the amount of breakage I get - or don't get should I say! My hair is prone to breakage, but after using this, my hair brushes through much easier without snapping off, which is definitely down to the improved texture of my hair since using this. My hair also smells lovely after using this, the scent isn't strong at all, which is great as you can be sure there are no unnecessary perfumes in the product, but it just smells so fresh and clean with a very slight lasting scent, nothing too overpowering. Overall, I'd absolutely recommend this if you have dry, damaged hair. I have quite fine hair and this doesn't weigh it down at all, however Sukin do have other products for different hair types, so I'd definitely recommend checking those out for your own hair type. They also do smaller sizes if you wanted to try before you go for the 500ml bottle, but I'm pretty sure you wouldn't be disappointed, I absolutely love it! Hi lovelies! Today, I'm super excited about this post as it's a review of a fully Vegan makeup product from a Bio Organic, Natural, Vegan makeup brand. The brand in question is Lavera, which I found on MyPure.co.uk - My Pure for those who don't know, is Britain's most positively reviewed Organic Skincare Store, however they don't just stock skincare, but makeup, hair care and body products as well as household products, including natural cleaning products! And if all that doesn't sound amazing enough already, all the brands and products they stock are also Paraben free, Vegan/ Vegetarian and Sulfate free - amazing! Anyway, onto the product! 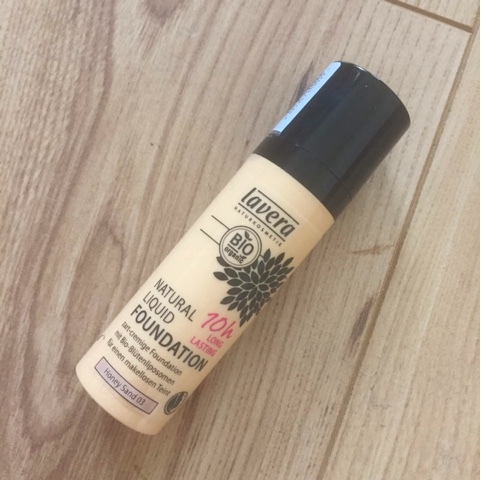 Today, I'm going to be talking about a new love of mine - Lavera Natural Liquid Foundation. I was in desperate need of a new foundation and as many of you will know, I'm currently in the process of switching all my products to cruelty free and where possible, natural and organic. When you really look at your makeup and what goes into it, it can be quite scary knowing that all that goes onto your skin can also get into your system, so I think it's important to use products that are as close to nature as possible. So after having a browse through the many options on MyPure, I decided this Lavera foundation was the one for me! 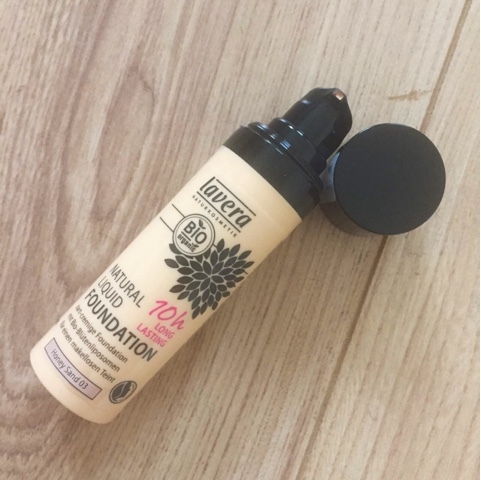 Described as 'A delicate, creamy foundation with organic blossom liposomes for perfect 10 hour coverage and a flawless finish', it sounded perfect to me. First up, the packaging is fab, it's simple, not too flashy but not super boring and it's sturdy and easy to use with the little pump. Just one pump is more than enough to give a completely flawless finish my however I prefer to use half a pump buffed into my skin for a slightly more natural, medium coverage day to day. This makes it a very versatile foundation, as it can be applied lightly or built up to full coverage. The shade I chose is Honey Sand, which is perfect for slightly tanned skin, making it match my (admittedly fake!) tanned summer skin tone! It blends so well with my skin tone and I do think it adapts slightly, as I've used this with varying levels of tan and have never had a problem, I just use a lighter hand on paler days. As this contains no fragrance, it doesn't have a strong scent, but it does still have a pretty, light floral scent, coming from the natural ingredients, which you can smell on application, but because it's only light it doesn't linger after you've applied the product. So, application is super easy and the initial look is glowy and gorgeous, but how does it wear?Well, I'm pleased to report that it actually does live up to its 10 hour claims! This lasts all day at work without going patchy or fading. What I absolutely love about it too is that it's absolutely weightless on the skin, which is a huge bonus in the warmer weather we've been having! Another couple of things I've noticed since switching to this foundation are that my other makeup seems to last better on top of it and my skin has improved! Let me explain; I wear a small amount of powder to set the base, but it doesn't need nearly as much as foundations I've used in the past and my blusher, bronzer and highlighter all seem to sit really well on top of it, even without much powder. As for my skin, I've noticed a significant reduction in clogged pores, particularly around my nose and chin. While I was never particularly prone to spots or sensitivity to products, I do get blocked open pores with some products and they've been slowly reducing since using this, so while it may not be the thing unblocking my pores, it's certainly not clogging them up any more, meaning I can work on deep cleansing without my makeup reversing all my hard work, yay! What do you think? Have you tried any Lavera products? Do you have any favourite Vegan makeup brands?